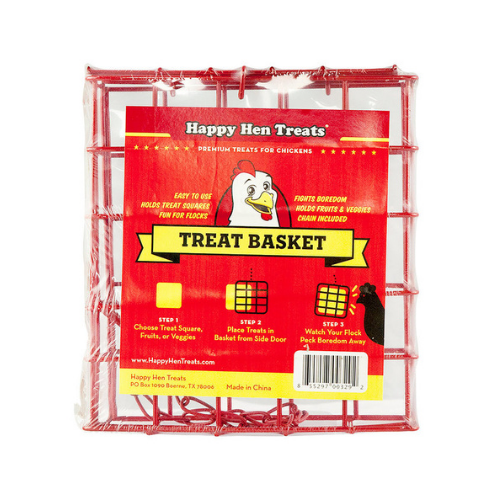 This coated wire basket holds one Happy Hen Treat Square. The hanging chain allows for easy placement in your chickens’ coop or run. Coated wire resists rust for years of trouble-free use.